IBM appears close to cracking functional Artificial Intelligence (AI). They’ve recently created a computer system named “Watson” that uses hundreds of processing algorithms simultaneously to filter, interpret and understand human language – relating questions to knowledge in a systematic way that lets it answer normal, spoken questions with uncanny results. I mean, from the few examples I’ve seen, this computer system produces answers more “human” than those produced by some humans I’ve known. These IBM researchers are going for AI in a real way – so real in fact, that like Watson’s chess-playing predecessors, IBM is pitting Watson against actual human beings. However, instead of sitting across a chess board, the competition will be in real-time on the Jeopardy television show against trivia whizzes sometime within the next year. Turing test, eat your heart out. With this in mind, I’d like to take a moment to highlight the intersection of computers and space exploration. In truth, without computers, intelligent computers, there would be no space exploration at all. For starters, the Apollo Guidance Computer (AGC) was essential to navigating to and landing on the Moon. Created at the MIT Instrumentation Laboratory in the early 1960s, the AGC was one of the first computers to be based on integrated circuits, and it enabled mere human beings to pilot Apollo’s Command Module and Lunar Module spacecraft. 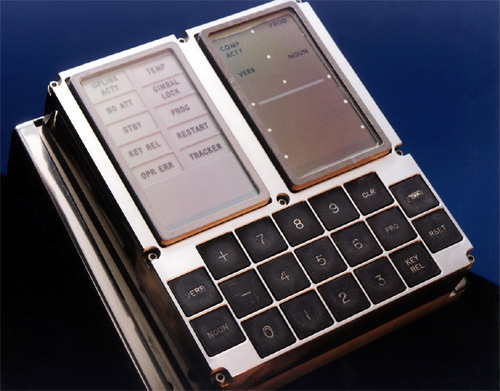 These sorts of computer systems only became more prevalent in the future Space Shuttle program of the 1980s through to the 21st Century. Useful spacecraft computer systems were further popularized at that time by Star Trek, where the fictitious U.S.S. Enterprise’s AI computer system is able to respond to and process any number of human commands and queries, while simultaneously monitoring and operating all essential ship functions. Unfortunately, much of popular media have made computers in space a negative stereotype. The most famous became the primary antagonist of Arthur C. Clarke’s 2001: A Space Odyssey. 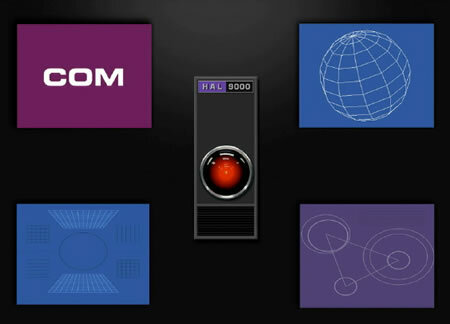 In the story, an AI named “HAL 9000,” which (like an expanded AGU) was responsible for interplanetary navigation, communication, guidance, maintenance, and life-support systems on the Jupiter-bound spacecraft Discovery One, suffered a critical malfunction and turned on the crew. Only one astronaut survived the ordeal. Decades of AI paranoia ensued. If that wasn’t bad enough, the stereotype became even more indelibly entrenched by the Terminator franchise of films. In it, an AI named Skynet, which was designed to operate a military space defense system, decided that humankind was its primary threat and launched a nuclear strike. It then mastered the science of time travel and started sending cyborg assassins into the past to defeat what little human resistance survived into the grim, post-apocalyptic future by destroying them before they were born. More recently, this stereotype was put to clever use in the movie Moon. Reminiscent of the “Mycroft Holmes” AI in Robert Heinlein’s story The Moon Is a Harsh Mistress, the film’s HAL-like AI computer system (named “Gerty”) is responsible for operating a lunar mining operation and looking after the mining outpost’s resident(s). 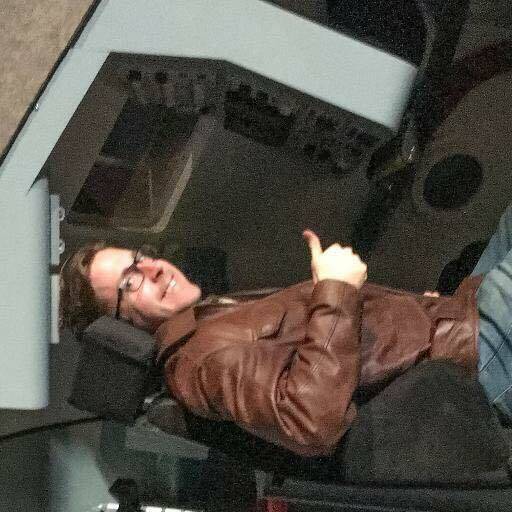 The twist *spoiler if you haven’t seen it* is that in a world of nefarious corporate greed, Gerty turns out to be the only thing the mining outpost’s crew can actually trust. -This shift in perspective is something I appreciate. We need to learn to trust the machines we create to help us. The Three Mile Island accident happened because the workers didn’t trust what the computers were telling them. They should have. As human beings, there are tasks and computations we are simply not suited to perform. This is doubly true in an environment as harsh as space. We can’t be awake all the time, and we can’t be looking at everything at once. An AI can. This is why I am so intrigued by developments like Watson. -And perhaps, should the experiment prove successful, it will lead to the full-scale development and deployment of functional AI, which will help take us into the next phases of human activity off-world. We’re going to need help to get us there.